On a lovely day, two princess twins play with their friends in the castle garden. Princess Emma is concerned about looking pretty and stays out of the fun. When her concern about her looks hurts a friend, Emma must decide what is more important, looking good on the outside or having a kind heart. This level-one story teaches girls what it means to be a princess for the true King. A lesson in the importance of inner beauty. 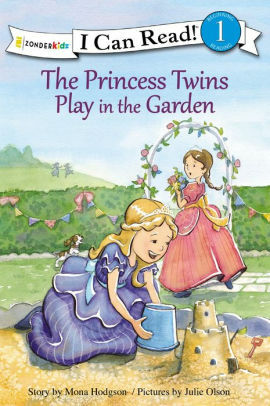 The Princess Twins Play in the Garden is A Lesson in Inner Beauty, especially appeals to ages 4-7.